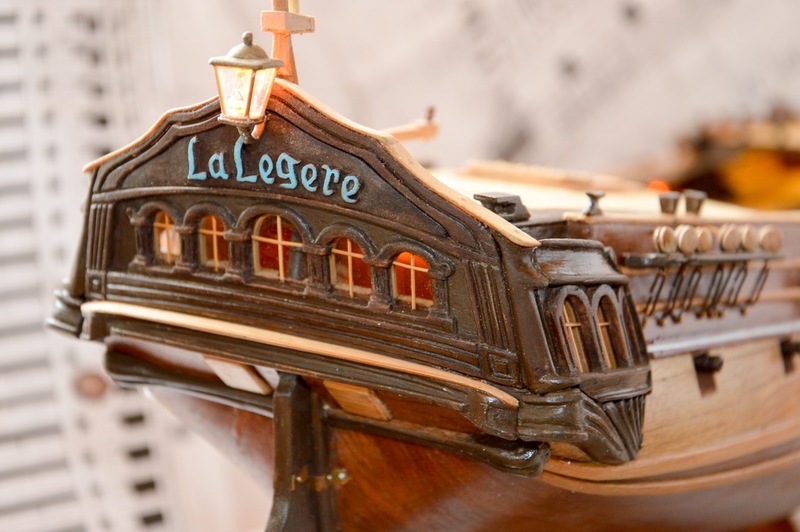 For a while now I have been looking for a model ship to put above my fireplace, after allot of research I settled on a very special model of a French corvette ‘La Légère’. The reason I went for this one was that it’s extremely rare (only know of 3 models ever done, one of them in the Central Naval Museum in St Petersburg) and the artist making it is incredibly talented. It will be another 5-6 weeks before it’s complete, then it will make it’s way to my house in the Azores where it will be a central piece on the new living room layout. A model like this can take over 1000 hours to complete, it’s totally built from scratch following old plans from the actual original ship. Unfortunately the original plans for the masts and sails have long been lost, this is a XVII century ship after all, so plans from another french ship of the era (La Renommee) are being used instead for them.